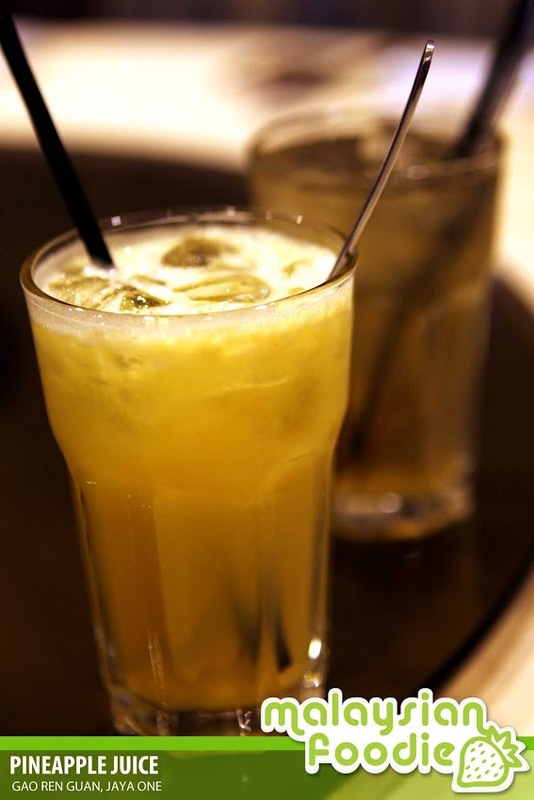 Gao Ren Guan (高人馆) is one of the famous and well known restarurant in Klang Valley. 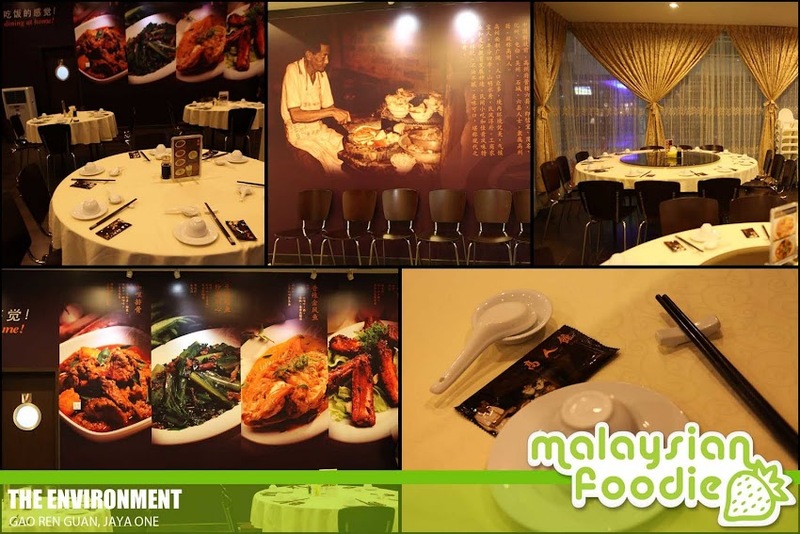 The restaurant is having a few branches which include Puchong, Jaya One and Subang as well. 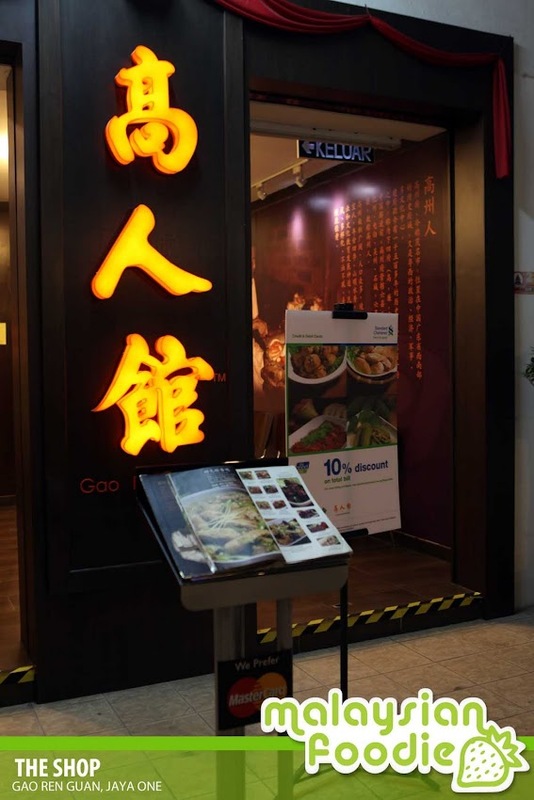 This restaurant serves typical Gao Zhou (高州) dishes, where the name is originated from one of the place is Gao Zhou, which is near Guang Dong China. The restaurant is well decorated with the high class and pleasent feel which I love the way it is decorated. 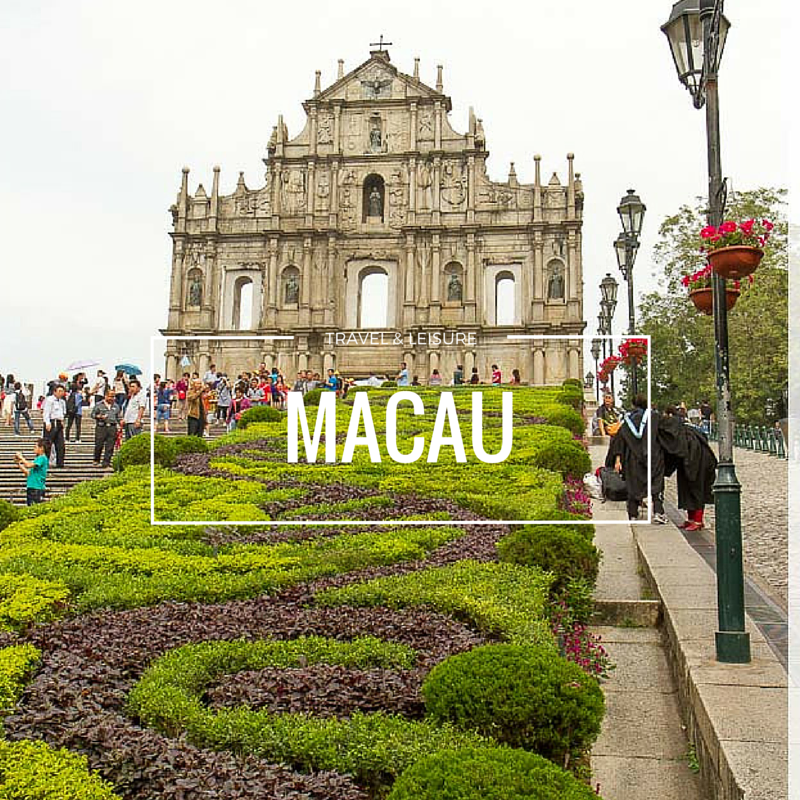 Upon entering, you would be greeted by a stretch of food wall, picturing their delicious looking specialties on the wall like a huge menu.The restaurant do serves some of their family’s own recipes which are heritaged from Mr Loong’s late grandfather and mother. 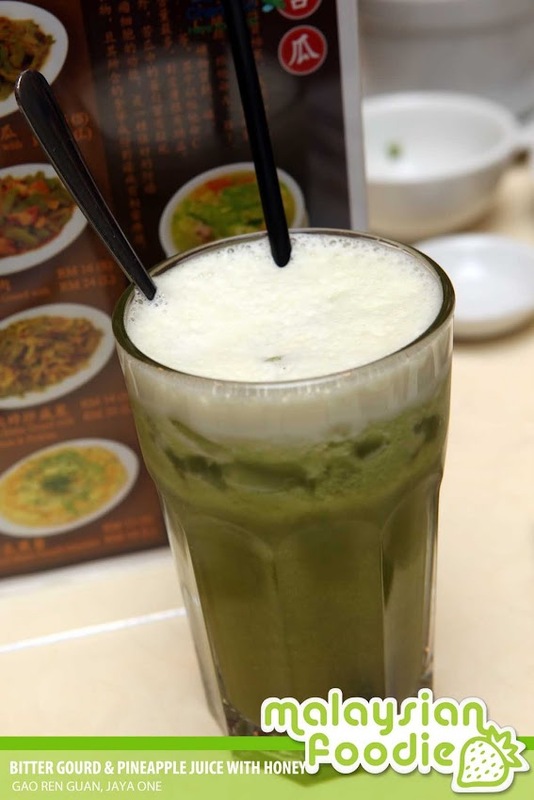 The restaurant aims to build a plae for the guest to feel at home where they emphasize on the simple ingridients as well as the cooking style of Gao Zhou which lets the customer to taste the flavors of the food there. 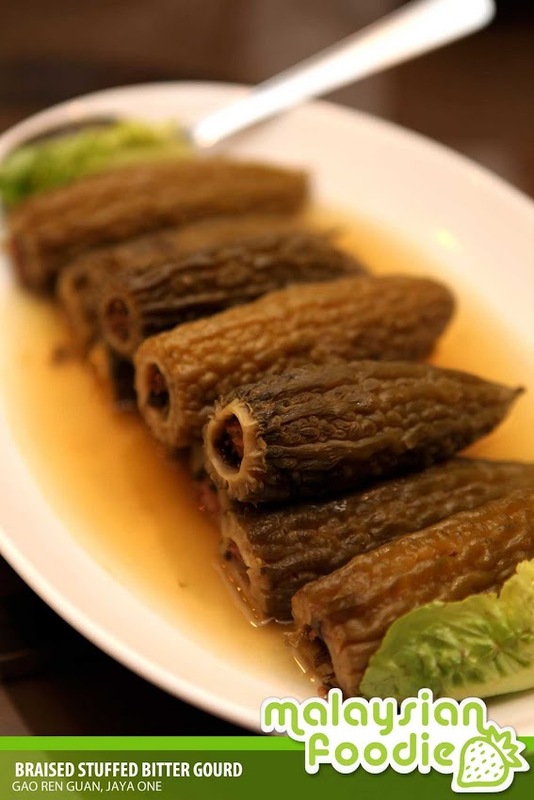 The Bitter Gourd stuffed with minced pork is another speciality of Gao Ren Guan. This is where the minced pork is being cooked and being stuffed into the bittergourd. Then it is being steam till the bittergourd is soft. This is one of the healthy food from Gao Ren Guan which is being recomended. The taste is with a slight bitterness when you chew them. 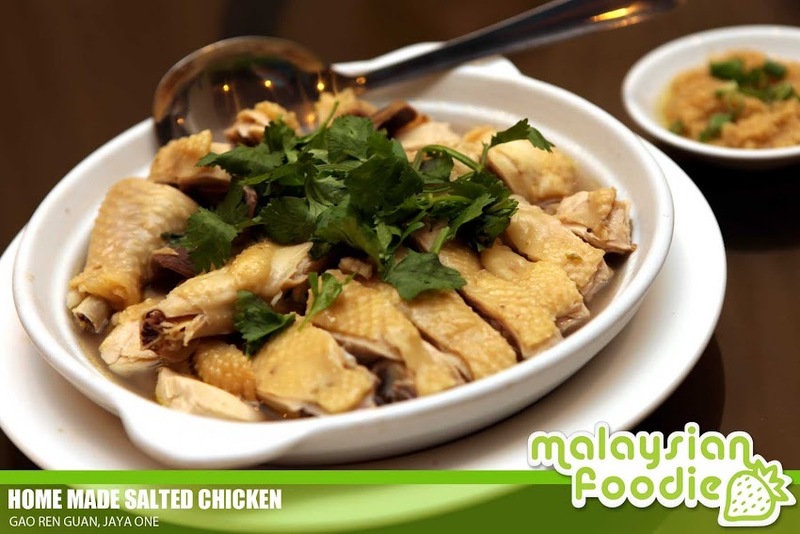 Home Made Salted Chicken is one of the specialities in the shop. This is where the chicken is being marinated overnight before it is being cook. 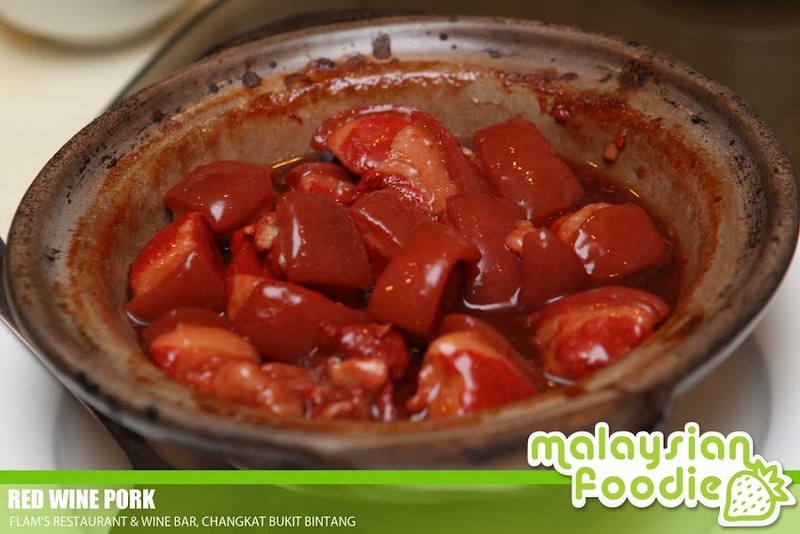 The chicken which is being used will be the kampung chicken where the texture of the meat should be slightly hard then the normal chicken but it ended up the meat is still tender and flavourful. 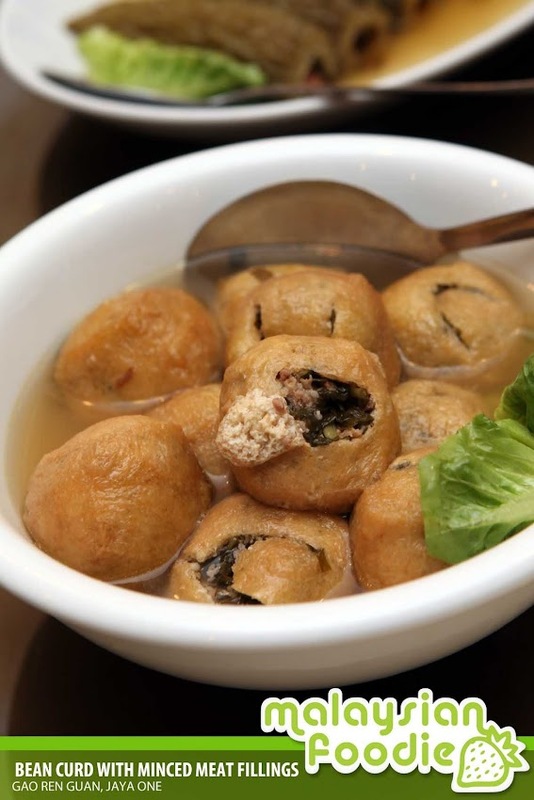 One of the famous bites in Gao Ren Guan is the Braised Stuffed Bean Curd where the minced meat and the chives is being stir fried first. 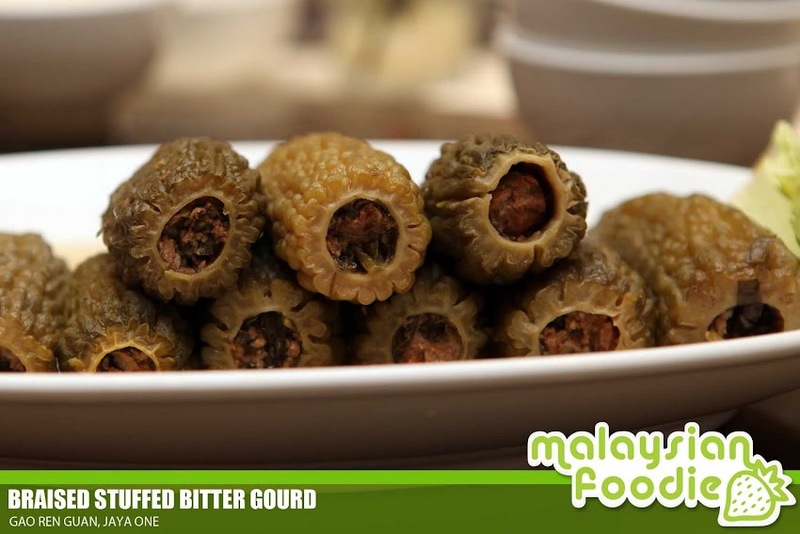 It is then stuffed in the tau pok and it is braised together with the soup. 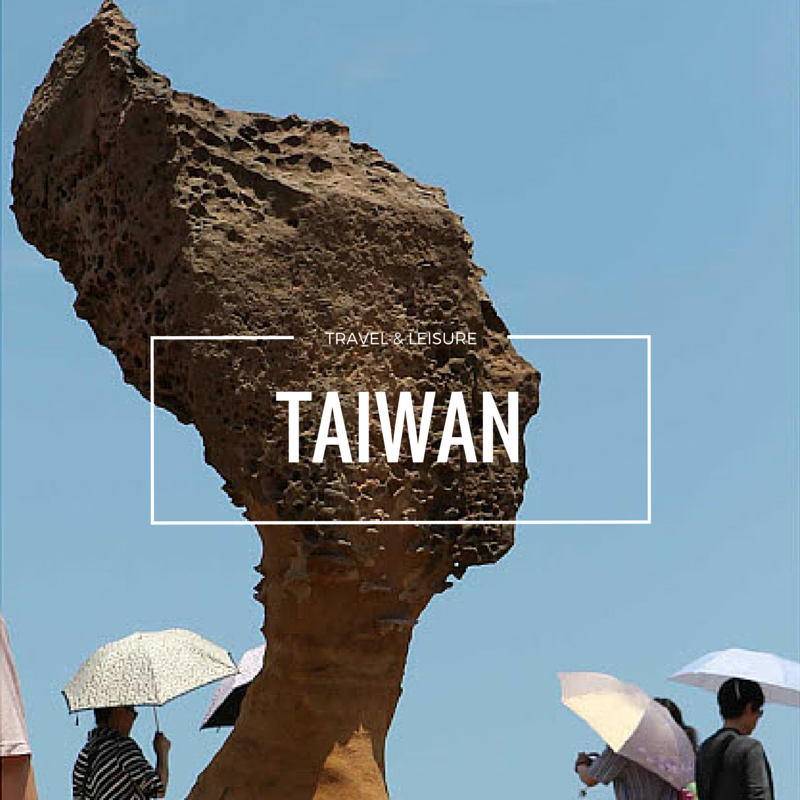 The soup as well as the taupok is full of flavors and the tau pok turns to be very juicy as well. 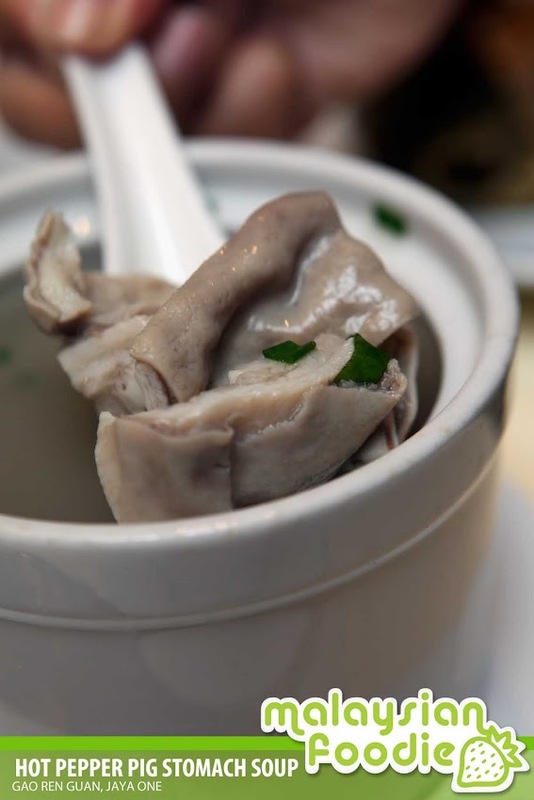 It is indeed a great taste of the bean curd which is full of sweetness which comes from the minced meat. The other speciality is the Braised Fried Pork Belly with Yam. This is where the yam and the pork belly taste real good with the soft sliced yam. The three layer pork which is being served with the yam really good which I love them too. Pork Belly with Red Wine Residuum Sauce is our next dish. This is where the pork is being infused with the red wine and it turns them into the natural red color. The pork belly is simply flavourful with the red wine added with it. It is not too oily and the overall taste of it is good. 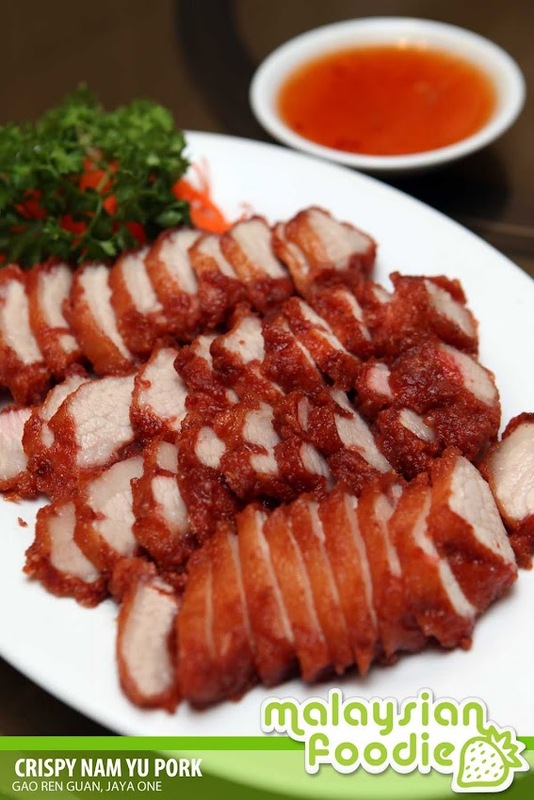 Crispy Nam Yu Pork is served in tender meat as well as the crispiness of the fried pork. 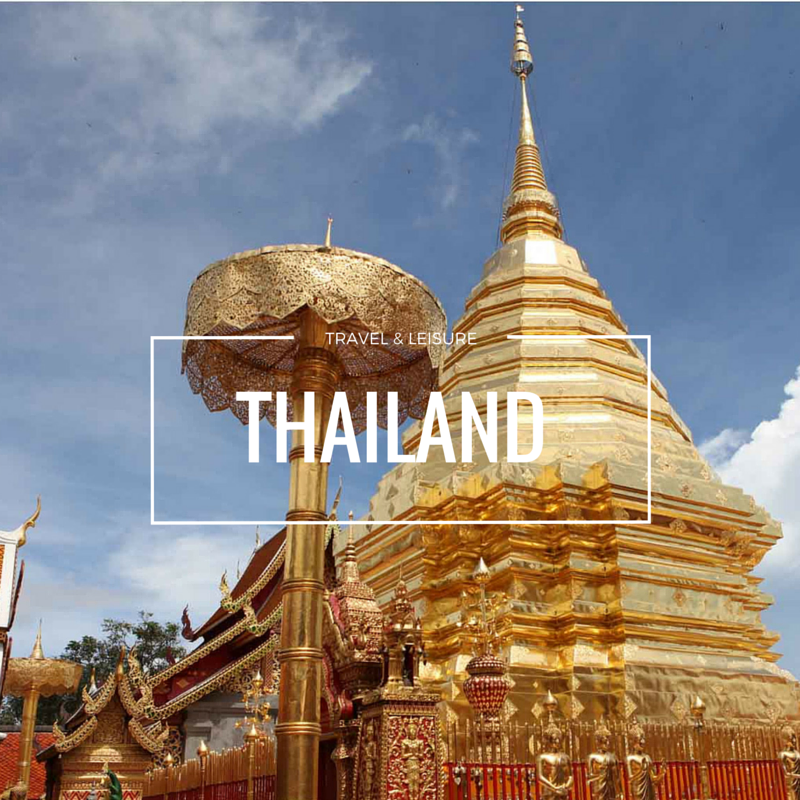 it is also fragrant as well as one of the popular dine among the crowds. 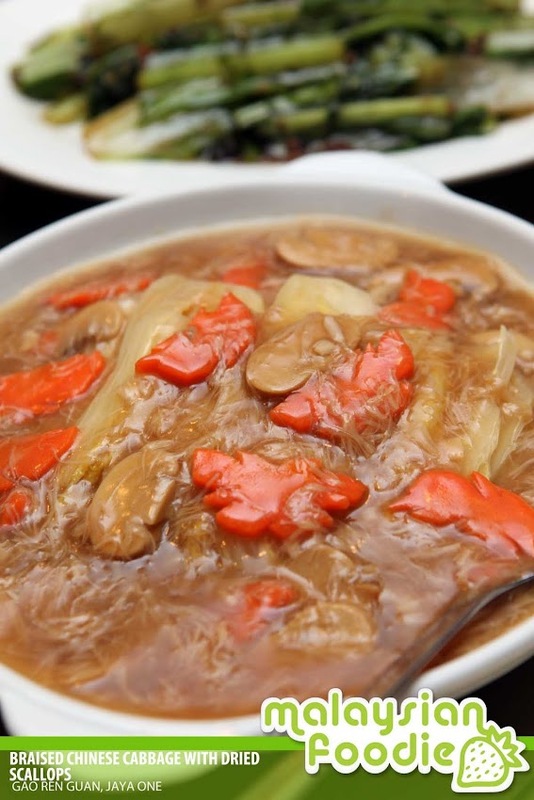 Braised Chinese Cabbage with Dried Scallops is where the cabbage is cooked together with the dried scallops and the dish is simply tentalizing with the tasty gravy which comes with it. 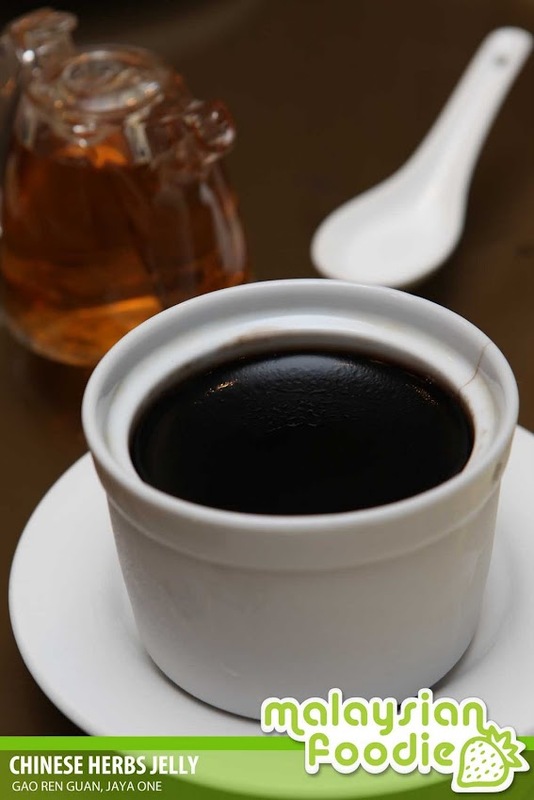 The gravy is really nice which is very flavorful with the combination of the vegetables sweetness in it. 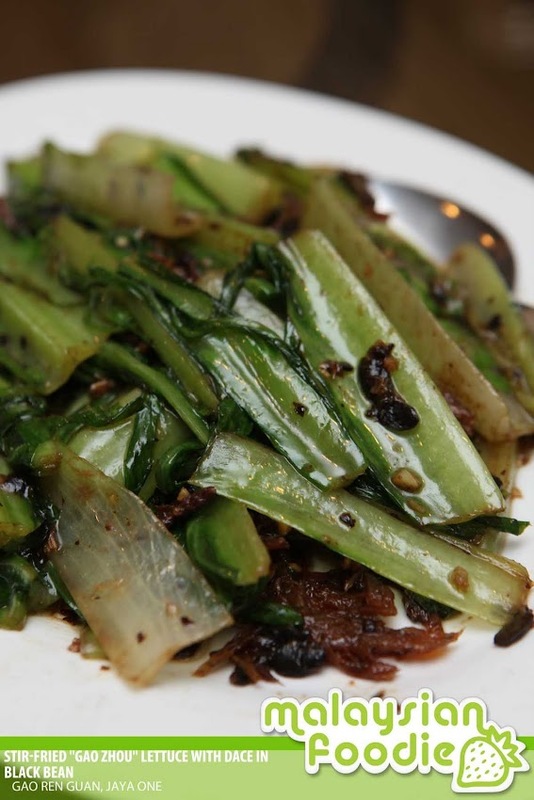 Stir-Fried “Gao Zhou” Lettuce with Dace in Black Bean is one of the classical items in the Gao Zhao Diet. 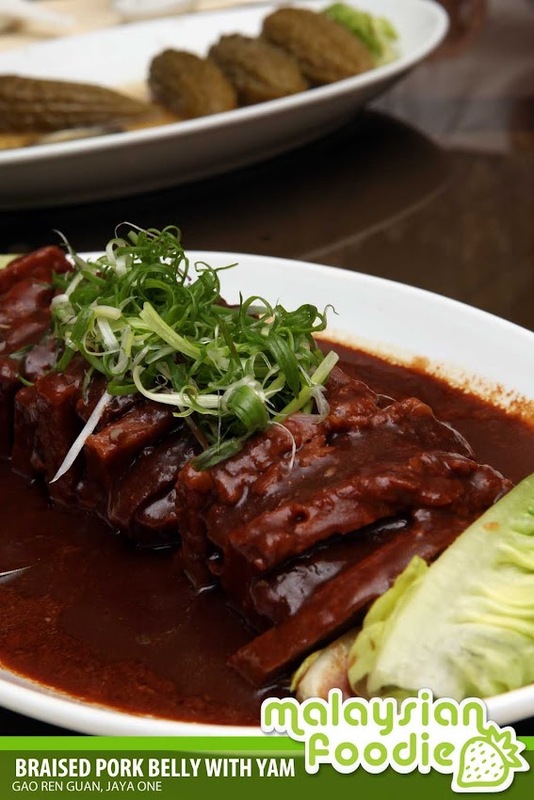 The lettuce is having a slight bitterness in it and it is cooked with the black bean to reduce the bitterness of the dish. The dish is simply one of the recommended items in the shop where it is rarely being served in many restaurants. 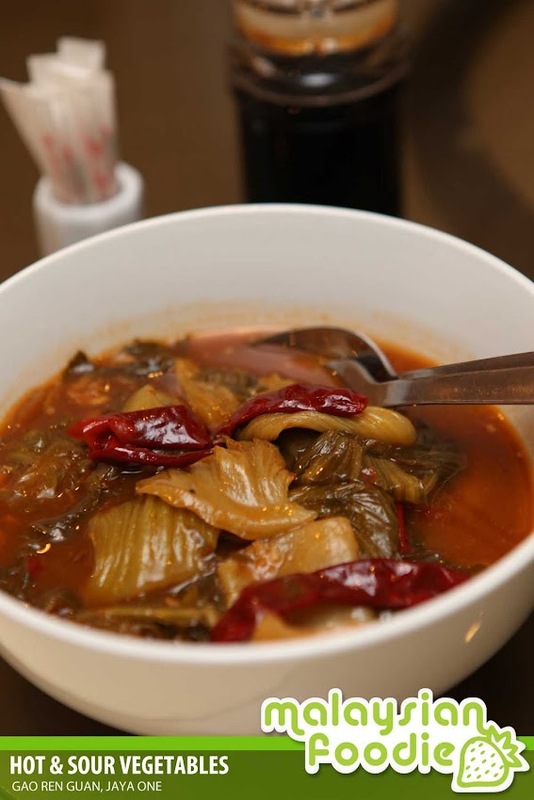 Hot & Sour Vegetables is one of the famous items in the Chinese Society where the vegetables are smooth and accompanied together with the sour taste of the vegetables is indeed very tantalizing. We are served with 2 types of soup to try. Boiled Lean Meat Soup is one of them. 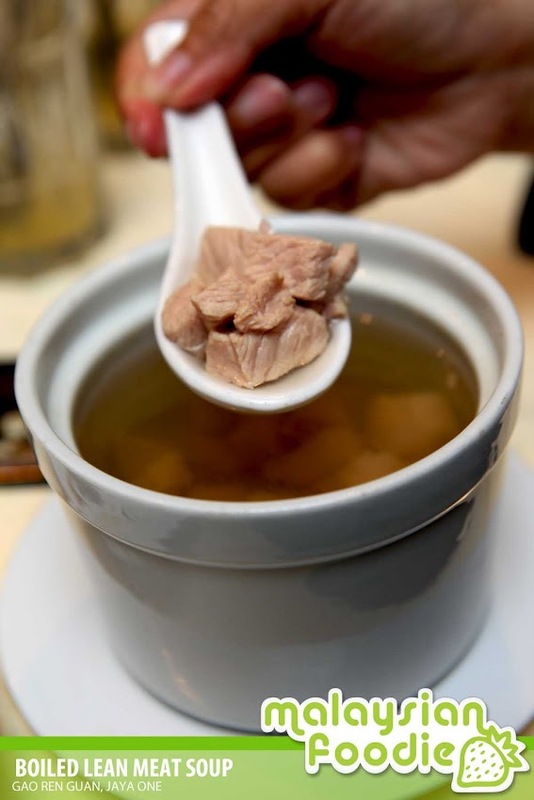 The soup is boiled using the lean meat for 6 hours and the soup is clear and it is full of the taste and fragrance of the lean meat. The soup is very clear without any oil on it. Another soup we tried is the Hot Pepper Pig Stomach Soup which is my favorite. The soup is full of pepper aroma in it which I love the most. The soup is hot and the smells of the pepper which is added in it is simply good. The last dish of the day will be the fish which is Tilapia with Spicy Curry Sauce. 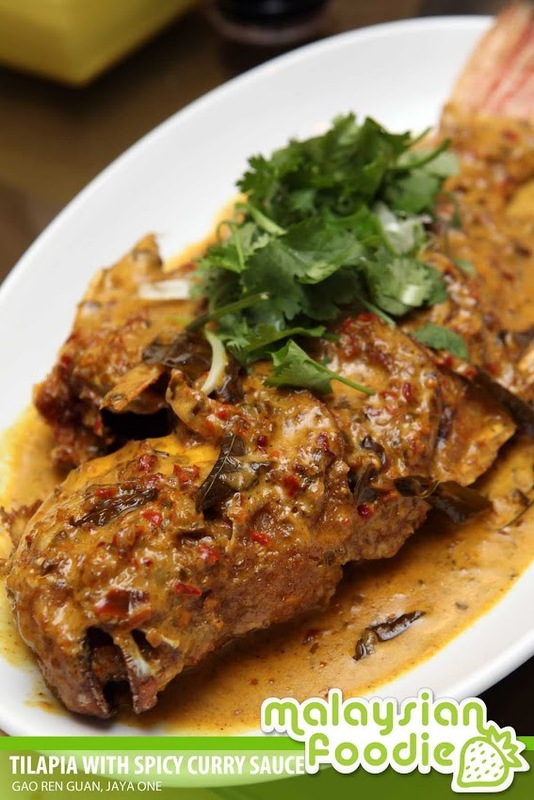 The talapia fish is fresh as well as it is well mixed with the spicy curry sauce with it. I could not hesitate to have another rice to accompany with the gravy which is simply good and yummy. Not forgeting after a heavy meal, how about some sweet delights to end our meals.We had the Longan & Sea Coconut with Grass Jelly taste really good to end our meals. 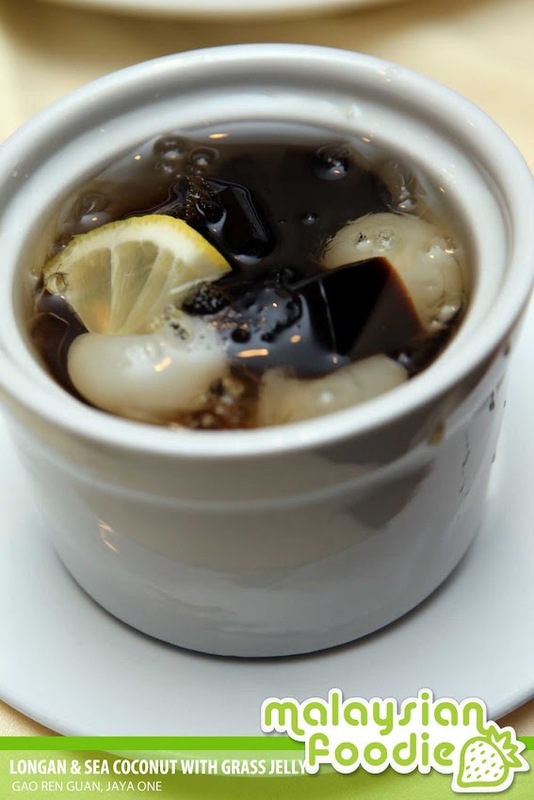 The combination of grass jelly, sea coconut and longan with it is simply good and the taste is not too sweet as well to complete our meal. Next comes the Mango Pudding which is made from the kitchen itself. 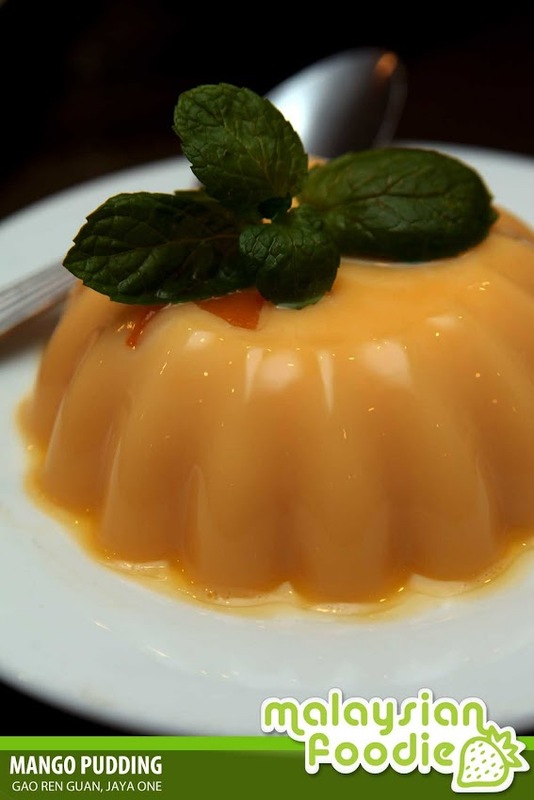 The pudding is well made from the kitchen with the fragrance and sweetness from the Mango. Nice one! Hot Pepper Pig Stomach Soup was pretty good taste.. I love that! P.S. 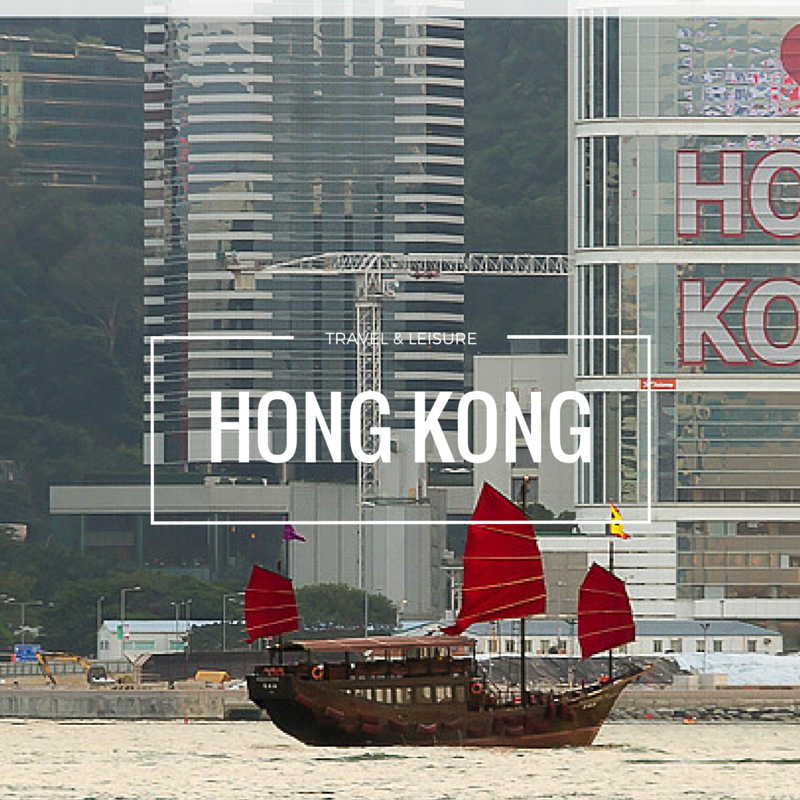 Thanks for dropping by my blog and for commenting. 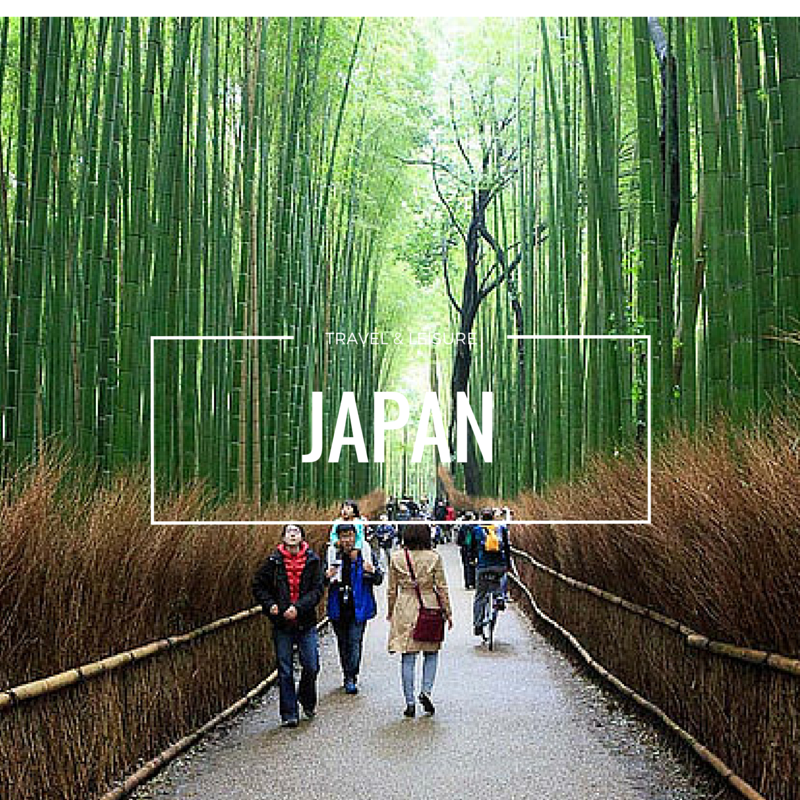 I’ve added you in my blogroll. hi, boss I am surendra kumar Rai. former worker at your restaurant G coffee I missed to you all. again I want to work at your your restaurant you can contact me if you have no more worker.thank you.